His main areas of practice are white collar criminal defense, criminal defense, and general litigation. 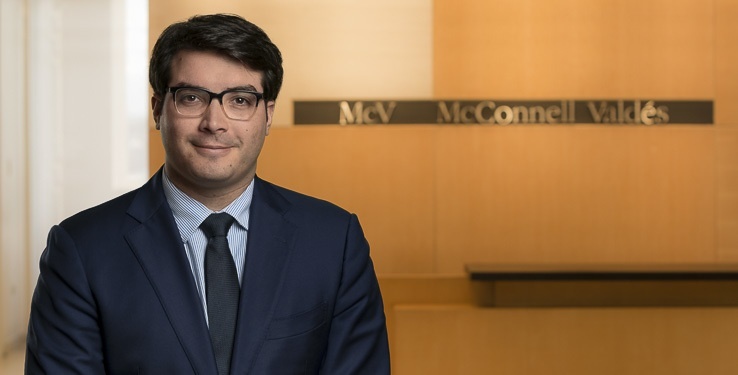 Before he joined McConnell Valdés, Mr. Andreu-Collazo was a Legal Intern at the Federal Public Defender for the Southern District of Florida. Previously he was a Judicial Extern to Hon. Rubén Castillo, Chief Judge U.S. District Court for the Northern District of Illinois. While at Northwestern Law, Mr. Andreu Collazo served as a judicial extern to the Hon. Rubén Castillo, Chief Judge, in the Northern District of Illinois, and the Hon. Donald Graham in the Southern District of Florida. Additionally, Mr. Andreu Collazo received the prize of Top Petitioner’s Brief during the National Latino Law Student Association (NLSA) Moot Court Competition in 2016. He then continued to hone his analytical and writing skills as an intern with the Federal Defender’s Office in Miami, Florida. Prior to attending Northwestern Law, he worked as paralegal specialist for the U.S. Department of Justice, Consumer Protection Branch, where he effectively assisted trial attorneys try numerous extortion, mail fraud, and wire fraud cases in the U.S. District Court for Southern District of Florida involving Spanish-speaking defendants and witnesses.